Now your dream to become the quarterback in the American football will come true! Use all tips and play like a professional. Set the best record and you will be really famous! Make sure that you done everything right. Good luck here. 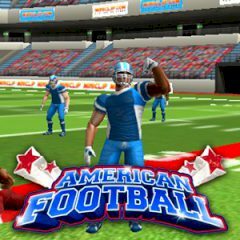 Have you ever played the real American football? This is the best time to do it! Just click green circle to pass the football. Have you ever dream to become the real football quarterback? In this game all your dreams will come true! Pass to an open receiver to score a touchdown! So call the plays to execute the best game plan and make it to the finals. Is everything clear? Then do not waste your time and be the best quarterback here! Improve all your sport skills and we will be proud of you. Have much fun while playing!